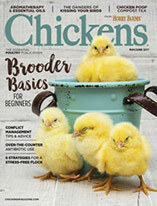 California's mandate for larger hen crates means management changes for egg farmers and higher prices for consumers. If you purchased eggs from a grocery store in California in the past week, you might have noticed a higher price tag. 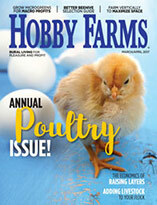 On Jan. 1, 2015, the state now requires farmers to provide each laying hen at least 116 square inches of space, which is up from the industry standard of 67 square inches. Since this law (AB 1437) passed in Nov. 2008, there’s been a massive uproar. States have sued California to stop the law, the United Egg Producers launched a campaign propagandizing the American way of producing eggs, and producers have scrambled (scrambled eggs—get it?) to reconfigure their farms to meet the new standards. California’s conventional egg producers are upset about this, obviously—they’ve had to do a whole lot of work in the past few years to put in larger crates and build additional barns to house the same number of chickens—but so are egg producers from other states. California is the fifth-largest egg-producing state. It has more than 16 million egg-laying hens, but that’s not enough to feed its 38-million-plus residents. (Iowa is No. 1 in egg production with more than 53 million hens.) California imports a lot of eggs—9.2 million cases, or the bounty of 11.7 million hens, plus the equivalent of 3 million cases of liquid and dry eggs. Iowa, Minnesota, Missouri and Ohio are responsible for 70 percent of these imports. 8.09 billion eggs were laid in commercial egg production in September 2014 alone. 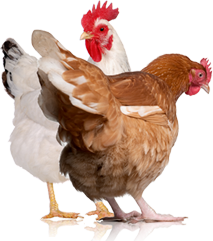 There were 301 million hens in commercial egg production as of Sept. 1, 2014. 63 egg-producing companies with 1 million-plus hens are responsible for 87 percent of egg production. The 172 companies with 75,000 hens or more represent about 99 percent of all the hens in this country. This is a big-scale business being forced into changes mandated by just one state, which many people are saying is against fair commerce laws. I’m curious to see if this bill will mean fewer egg producers will be willing to sell to California, if more egg producers will move out of California, or if home-scale egg production will increase in the state as grocery-store egg prices rise. California’s egg law was largely promoted by the Humane Society of the United States and PETA. They cite not only animal-welfare concerns but food-safety issues, too. They say hens stressed by poor living conditions are more likely to have higher levels of pathogens in their intestines, increasing our risk of getting sick. Opponents to the bill say it’s poorly worded (I read this complaint about almost every piece of legislature I research! ), it will be too costly for farmers to implement, it will cause an increase in already-climbing food prices, and passage of this bill invites too much government oversight into food-production practices. Jan. 1, 2015, wasn’t just a day for the chickens. AB 1437 also mandates calves for veal and pregnant pigs be allowed to lie down, stand up, fully extend their limbs and turn around freely, eliminating gestation crates and some calf huts. When animals are being transported, exhibited, tended to by a veterinarian and used for research, this rule doesn’t apply. Fines up to $1,000 and imprisonment up to 180 days are the penalties for noncompliance. If you have your own hens but don’t sell eggs and don’t buy eggs, this law doesn’t affect you—unless you’re against the government encroaching on what “humane” farming practices mean, in which case, yes, this affects everyone. If you are an egg producer who sells eggs in California, you already know this affects you and have either stopped selling to California or have already made your management adjustments. If you would or would not like to see a law like this in your state, let your representatives know! And put your money where your mouth is—you either support higher-welfare animal products with your grocery dollars/farming budget or you don’t.